Placed 11th in the 1650 free (16:44.09) at the GT Invite…also competed in the 200 free (1:55.52) and 500 free (4:55.78)…competed in the 500 free (5:06.18) after taking fifth in the 1000 free (10:21.43) vs. Pitt and GT…took third in the 1650 free (17:11.25) and competed in the 500 free (5:05.82) in the win at No. 13 Minnesota…took fourth in the 1000 free (10:22.00) and also swam the 500 free (5:07.19) vs. Arizona State…was fourth in the 1000 free (10:13.45) and also swam in the 500 free (5:05.28) against No. 10 UF…won the 500 free (5:05.75) at the quad meet. Saw a massive time drop in the mile at the ACC Championships where she finished 13th with a time of 16:24.21…competed at the World Championships in the 400m and 800m free in Budapest, Hungary for her home country of Aruba…she finished 33rd in the 400m free (4:32.09) and was 35th in the 800m free (9:17.77)…finished 30th in the 500 free (5:03.33) 27th in the 400 IM (4:33.62) and eighth in the 1650 free (16:57.77) at the GT Invite….won Most Improved at the end of the year awards banquet. Competed at the 13th FINA Short Course World Championships for Aruba in the 400m and 800m free…finished 15th in the mile with a personal best time of 17:03.26 at the UGA Invite…also competed in the 500 free (4:58.97) 200 free (1:53.09) and 100 free (54.46)…closed out her season at the Nike Cup. 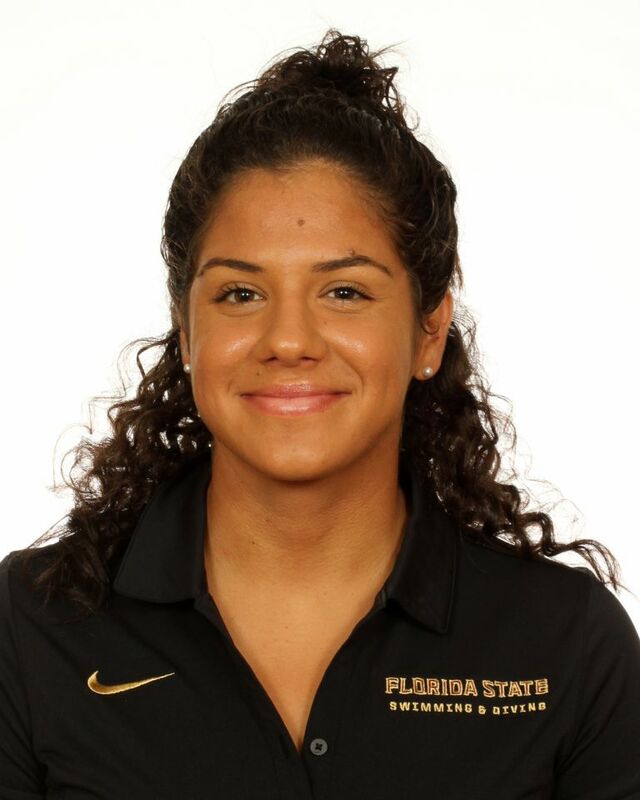 Represented her home country of Aruba at the Pan American Games as well as the FINA World Championships…won the 1000 free against Florida Southern with a personal best time of 10:06.21…posted a career best time in the 500 free at the Georgia Tech Invite at 4:56.10. A three-time MVP for the Sagemont School…competed in the Youth South American Championships where she won Aruba’s first-ever medal in the 800M free…won 10 medals at the Carifta Caribbean Games in April of 2014…placed ninth in the 500 free and 200 free at the FHSAA 1A State Championships. Daughter of Antoinette van den Berg…Born May 24, 1996…graduated from the Sagemont school where she was a two-time Principal Honor Roll member…was awarded the Geometry Award of the Year and AP French Award of the Year during her career.